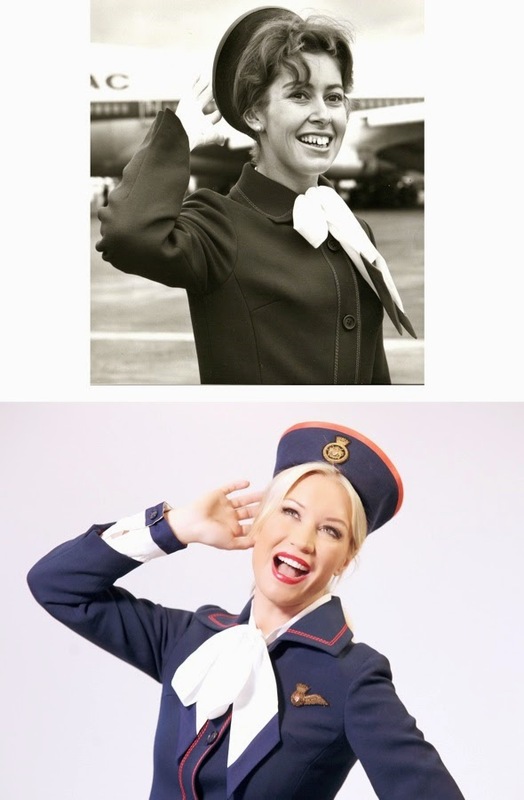 Denise Van Outen has stepped into a vintage Hardy Amies 1974 air hostess uniform, to mark British Airways' 40th anniversary this week. The airline, which charts its history back to 1919, became British Airways in April 1974 following the merger of BOAC and BEA. More photos and information in the complete article.